This Championship took place on Sunday 27th November, 2011 simultaneously in six venues around the UK. Results for this competition can be viewed here. An event report can be viewed on our Members Achivements and Club News page. 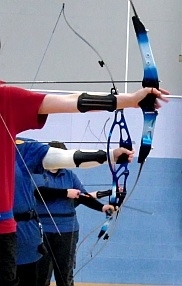 Well done to all archers who took part in the successful event this year.